Skip Step 1 if a project-level v3 API key already exists within the project where you are activating Clipmaker v3. API v3 is behind a module. Follow these steps should this module not already be activated. Once the module is activated navigate to the Settings page. 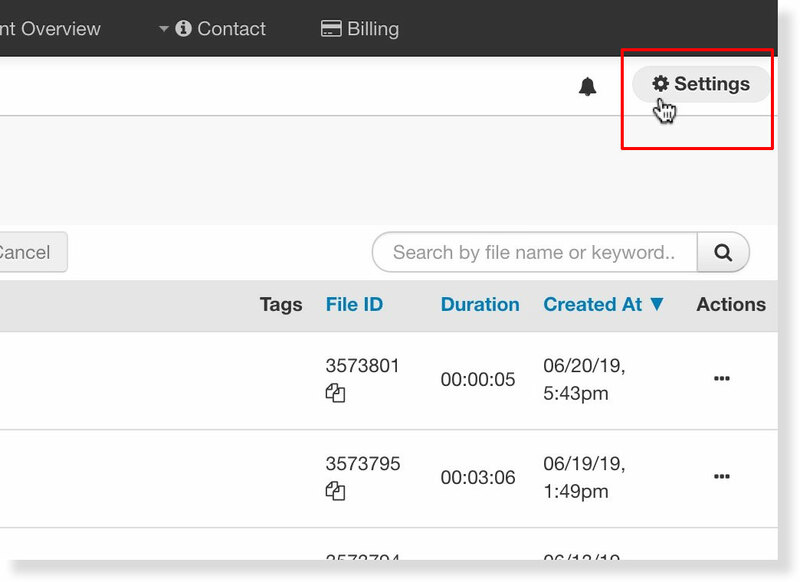 Under Basic Settings click API Access Management. Create a name for this set of API keys. For Enabled set this to On. For Access Type set this to Project and then click Create Access. Click Settings located in the upper, right-hand corner of the My Files page. From Settings, locate Add-On Modules on the bottom, left-hand side of the page. Click Clipmaker v3 under Add-On Modules. Click Request Access to notify your account manager that you would like access to this module. Once access has been granted you will need to navigate back to the module to activate it. 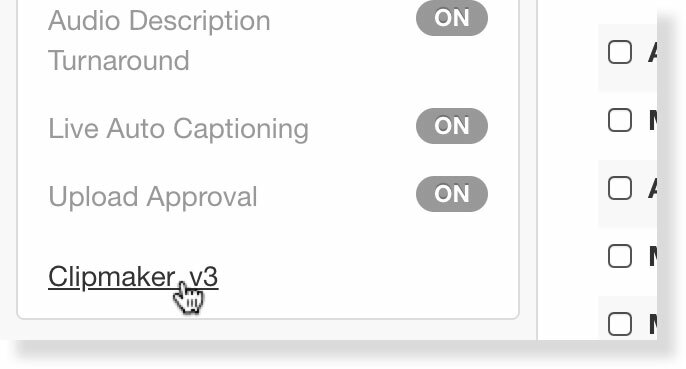 Once activated the Clipmaker v3 button will appear within your 3Play Media project. Click the Clipmaker v3 button to launch the application in a new browser window.